The two winners of this year’s $10,000 Sobotka Seed Stage Venture Grant, disbursed annually by the Yale Center for Business and the Environment to provide funding and mentorship to new eco-ventures, include a machine-learning platform for drones and an impact investing tool designed to build consumer engagement. DroneFlow, cofounded by Andrew Wilcox (F&ES ’18) and Max Messinger (Wake Forest University) uses machine-learning software to automate data collection via drone. By “training” drones to detect customized concerns—pipeline leaks, crop disease, evidence of poaching or forest fires—DroneFlow’s software will enable natural resource managers, urban planners, farmers, and more to inexpensively track what matters most to their work. 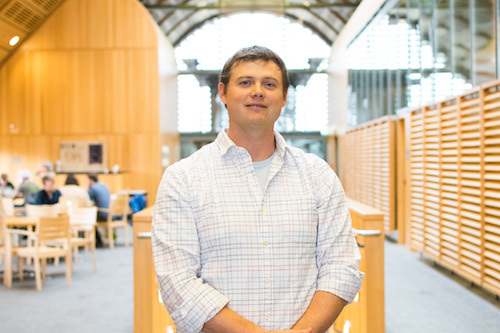 Wilcox’s interest in data-driven environmental solutions was galvanized through recent work at SilviaTerra, a company using remote sensing, big data, cloud computing, and mobile access to better manage forests. A 2010 recipient of the Sabin Sustainable Venture Prize, the company now employs seven full-time employees and works with many of the largest timber companies in the United States. Goldman Sachs estimates that drones will reach a market size of $100 billion by 2020. While most of this is in military applications ($70B) and consumer markets ($17B), Goldman analysts believe the fastest growth will be in commercial and civil applications, with $5.9B in agriculture alone. As with DroneFlow, data is also at the core of startup Real Impact Tracker, whose mission is to empower individuals to engage in the impact investing movement. By scoring the social and environmental impacts of mutual funds, Real Impact Tracker equips individuals to communicate their interests to funds and companies and encourage them to increase sustainability efforts. An “impact button” on the platform will allow individual investors to communicate their support for action on specific social and environmental issues. 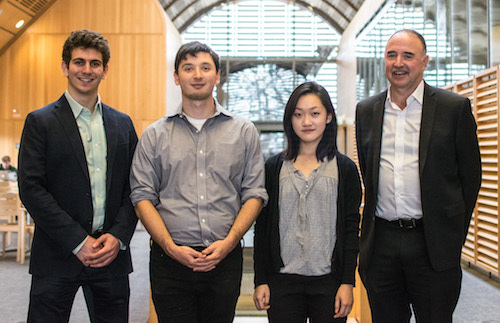 The Real Impact Tracker team comprises Pei Hua Chen (YC ’21), Cary Krosinsky (lecturer at Yale SOM), Gabe Rissman (YC ‘17), Patrick Reed (YC ‘16). “In these politically activated times, people are asking: ‘How can I do the most good through my investments’?” says Reed. “We set out to answer that question, and to build tools for improvement.” This initiative is also timely in its alignment with Yale’s newly launched Initiative on Sustainable Finance (YISF), which aims to further research on collaborative approaches to innovation in sustainable finance. Krosinsky, lecturer in Sustainable Finance at Yale School of Management and research affiliate of YISF, sees incredible potential for enabling individuals to engage directly with funds. "Real Impact Tracker set out to provide a clear answer to investors interested in learning how they can have more impact with their investment dollars, and we are gratified by the interest in our work,” says Krosinsky. “With interest in sustainable and impact investing on the rise, we are excited about the potential to help more investors better understand the impact that their investment options can have." DroneFlow and Real Impact Tracker will enter Yale’s Sabin Sustainable Venture Prize for a chance to win a further $25,000 this spring.